The bunkhouse occupants arrived at various times on Thursday – Sarah, Bruce and Martin were able to join Pokey and Annie at the pub for a couple of drinks, before having to dash back and let in the first arrivals from Glasgow airport (Claire having driven along Loch Lomond a little faster than anticipated). Paula and Dave were last in at 2am, and there was a small party still up to welcome them. The bunkhouse met general approval, and might have set unrealistic expectations for future trips – it’s not often we get twin rooms with en-suites. 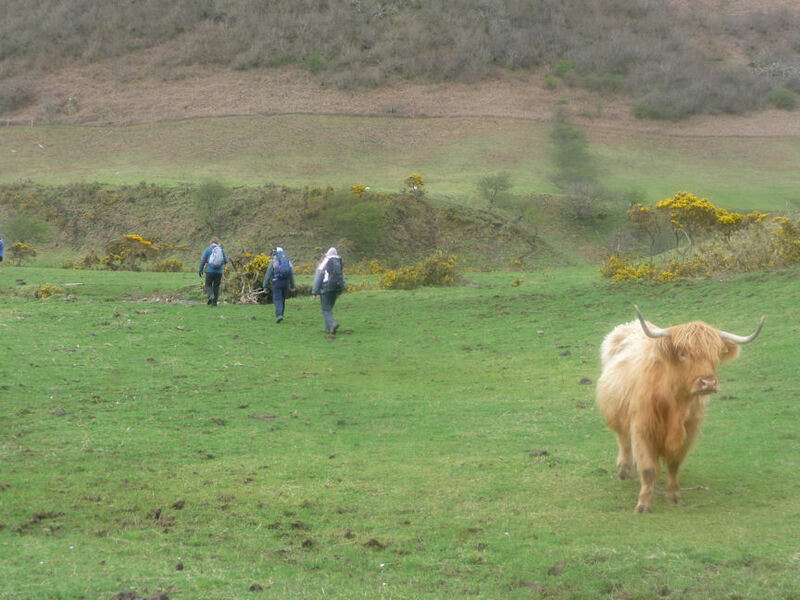 On Friday morning the bunkhouse group, plus Trudi and Barry who were staying nearby on the first leg of their local accommodation tour, set off at 9am for the Lost Valley. As we passed through Glencoe, it was chucking it down with rain; however, this lessened as we set off on the walk into the valley. 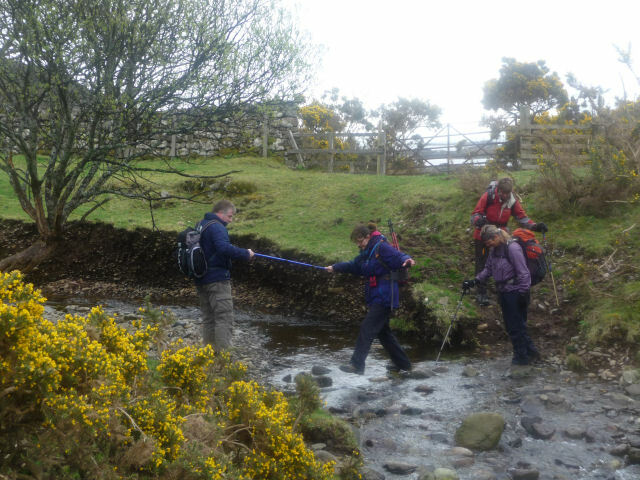 Somewhere we missed a crucial river crossing, which meant a long trudge up and over scree, all the while with a clear view of the real path on the other side of the river. 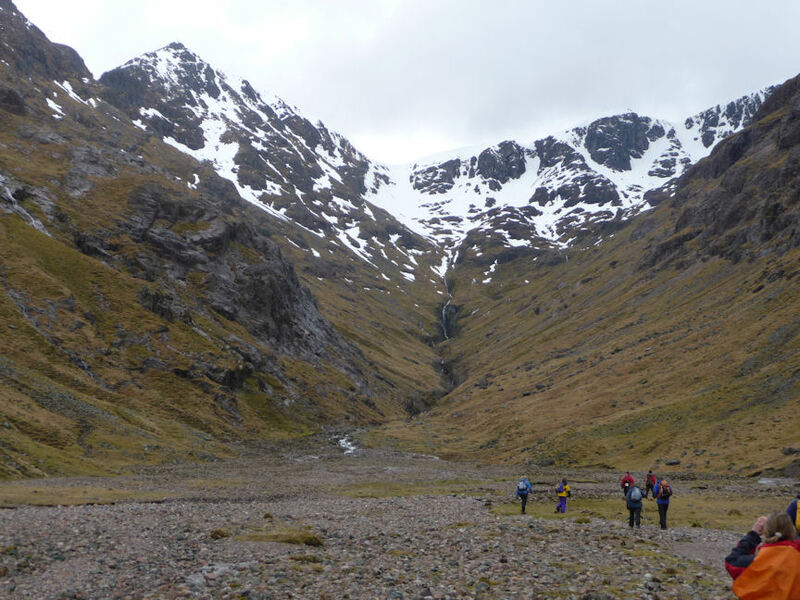 Once we reached the valley, there was a steep climb up to Stob Coire Nan Lochan at 1115m, which culminated in quite a lot of snow. 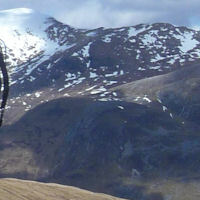 It was decided not to attempt the munro at the far end (Bidean Nam Bian, 1150m) because of the snow conditions – instead, the bulk of the group headed off to the right over the ridge for a steepish descent. 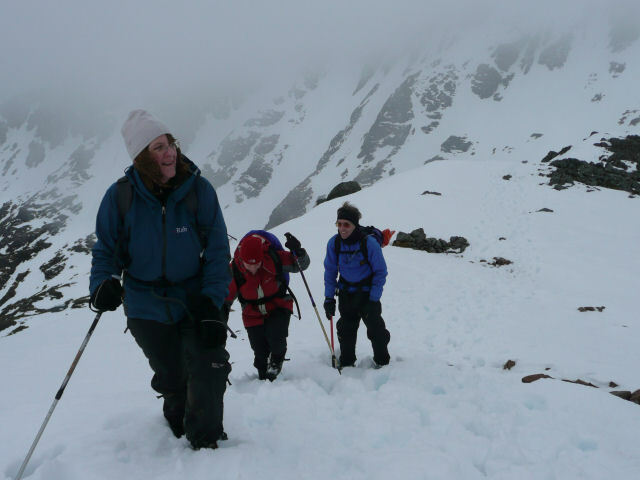 Will and Belinda had already headed down towards the Clachaig Inn by that stage, and Sarah, Trudi and Paula also decided to retrace their steps, a route which was probably just as difficult as the snow-covered one. 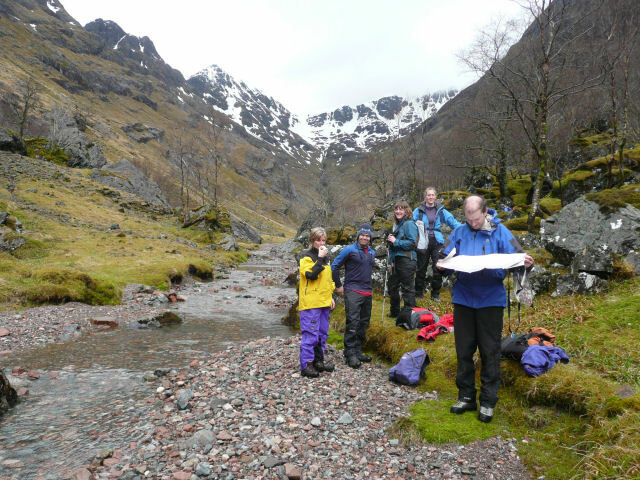 That river crossing really was well-hidden… The heavens opened again at the end of the day, and it was nearly 6pm when we all congregated damply at the Clachaig for a drink and some chips. Friday night’s dinner was multiple vats of chili con carne courtesy of Claire, followed by equally vast amounts of chocolate sticky toffee pudding courtesy of Sarah. For some, the chili was appreciated for breakfast the following morning – never let it be said we don’t use up our leftovers. 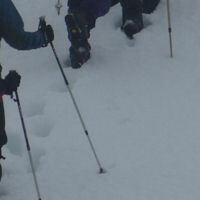 For the rest of the weekend, we split into smaller groups for the walks. 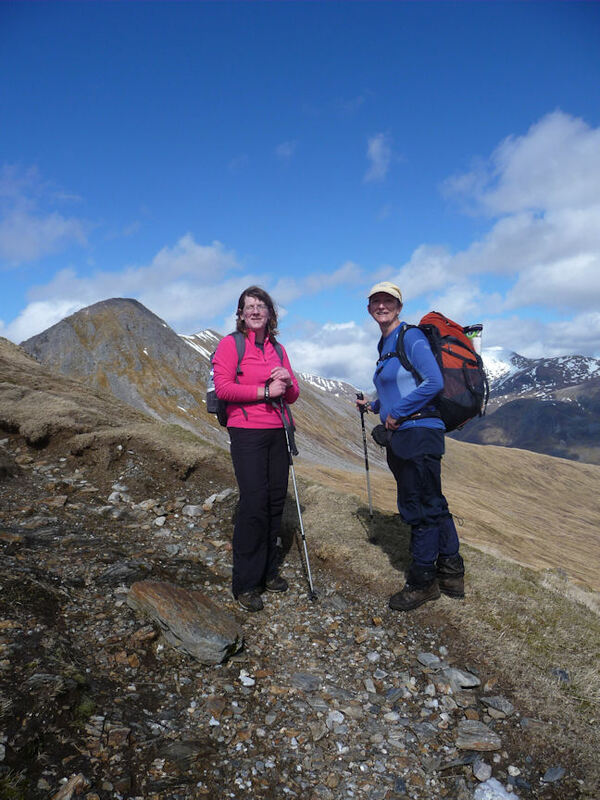 On Saturday Bob and Rhoda (who had arrived in the area on Friday afternoon) did the Pap of Glencoe along with Trudi. Just to add a little variety to the already-mixed weather conditions, they experienced a snowstorm on the top. 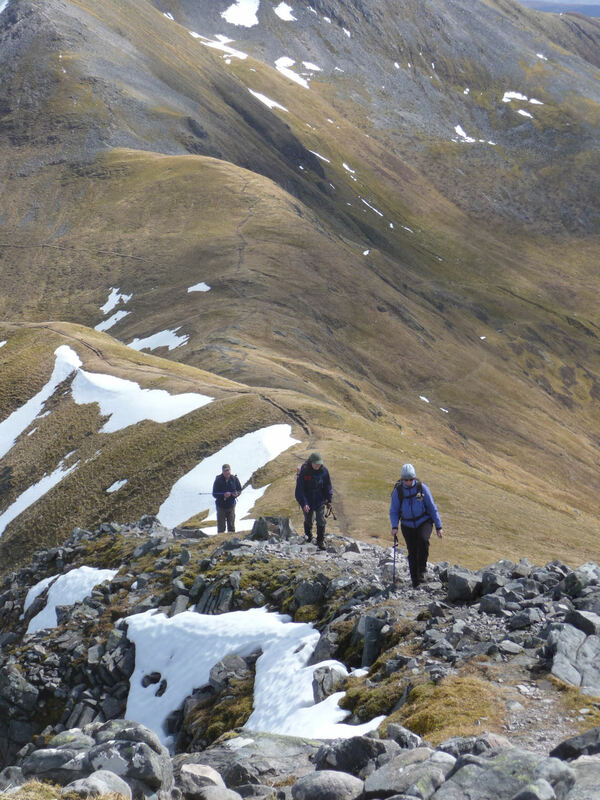 Dave, Barry, Martin and Sue went for the Ring of Steall, a classic route in the Mamores that includes four munros – despite the blizzard they completed it in an impressive 7 hours, which certainly got rid of all Sue’s excess energy. Everyone else, including Pokey and family, had a day trip to the Isle of Mull via two ferry rides. 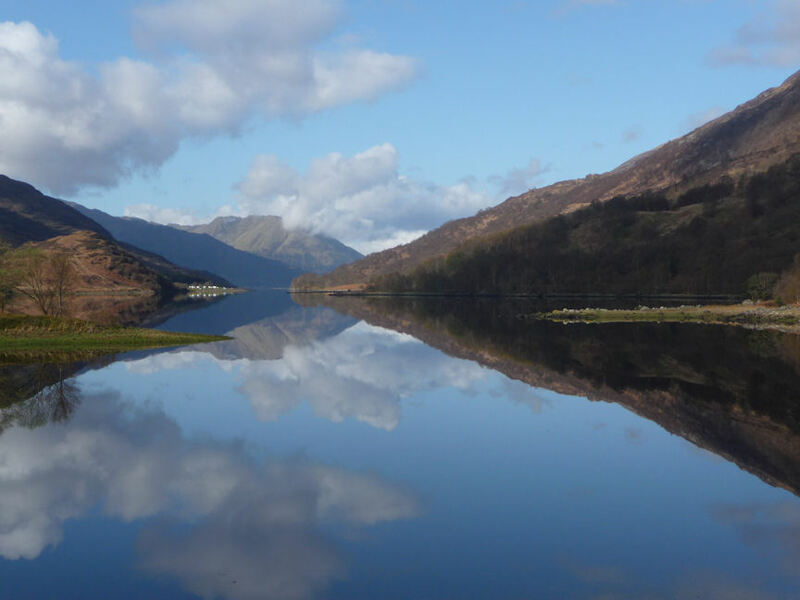 The first of these was a simple matter of leaving the bunkhouse car park, turning left and driving onto the Corran Ferry; the second was a 40-minute drive to Lochaline and then 20 minutes across to Fishnish. 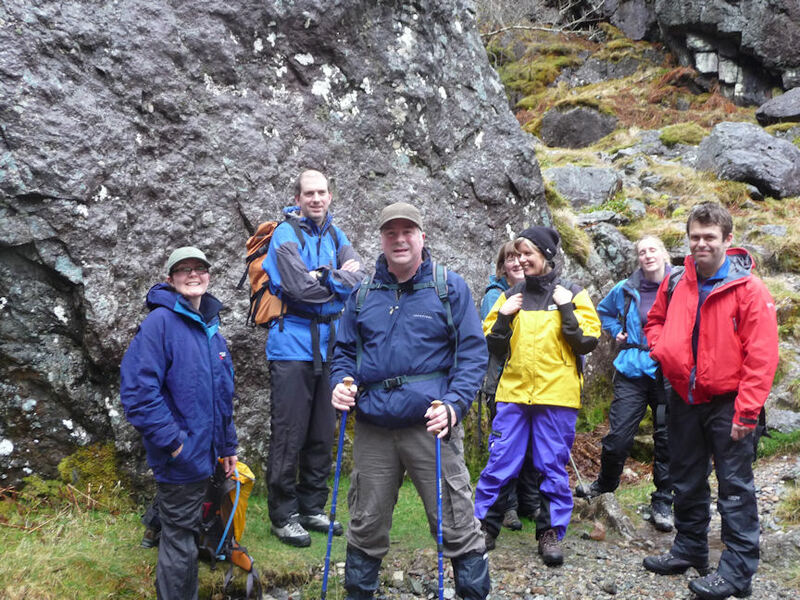 The weather on Mull was better than the mainland, and the group did a coastal walk from Carsaig round to Nun’s Cave, a wide and shallow cave where the nuns of Iona took refuge after being expelled during the Reformation. Alan was most disappointed to discover the cave was occupied by sheep rather than nuns these days. There was also a 20-minute flying visit to Tobermory (which Maggie mostly spent in the Spar buying overpriced wine), and lots of driving around narrow roads. The occupants of Claire’s car were well entertained by 107.9 Bruce FM, and Maggie’s perennially entertaining take on life (just don’t mention the beavers…). Directly behind, Will spent a good proportion of the day working out how he could overtake Claire for a spot of Top Gear-style driving, an endeavour thwarted by the roads and oncoming traffic, including an unfeasibly large bus. Having arrived back at the bunkhouse at 7.30pm, it was off to the pub an hour later for dinner. By this stage there were a few aching limbs in the group, and having two sports massage therapists on the trip proved to be quite useful. Easter Sunday dawned with clear skies. (It’s entirely possible that the “Scotland virgins” on the trip got a somewhat rose-tinted opinion of Scottish weather.) 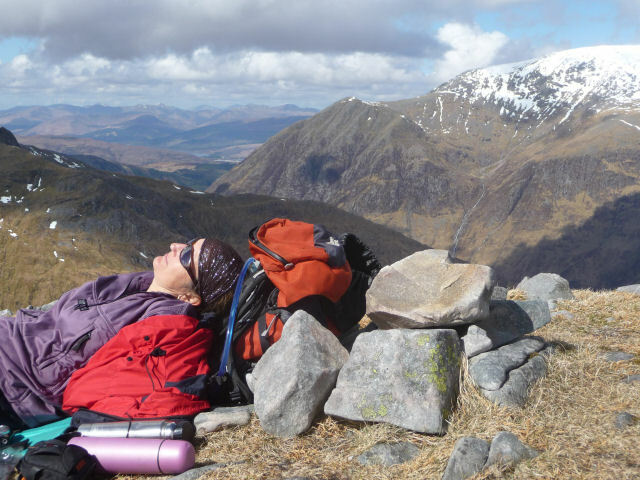 The quartet of Barry, Martin, Sue and Dave took their weary bodies up Glen Etive for another two munros including Ben Starav. At one point they encountered another group and were somewhat startled to be greeted with “Are you Newbury Mountain Club?” – turned out to be Rhoda’s cousins. 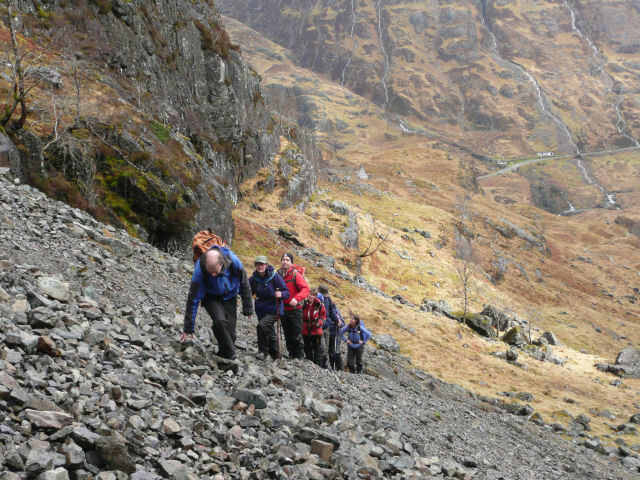 The largest group parked above Loch Leven and Claire led them up to bag Stob Coire a’Chairn (a very nice lunch spot with views of Ben Nevis) and Am Bodach. 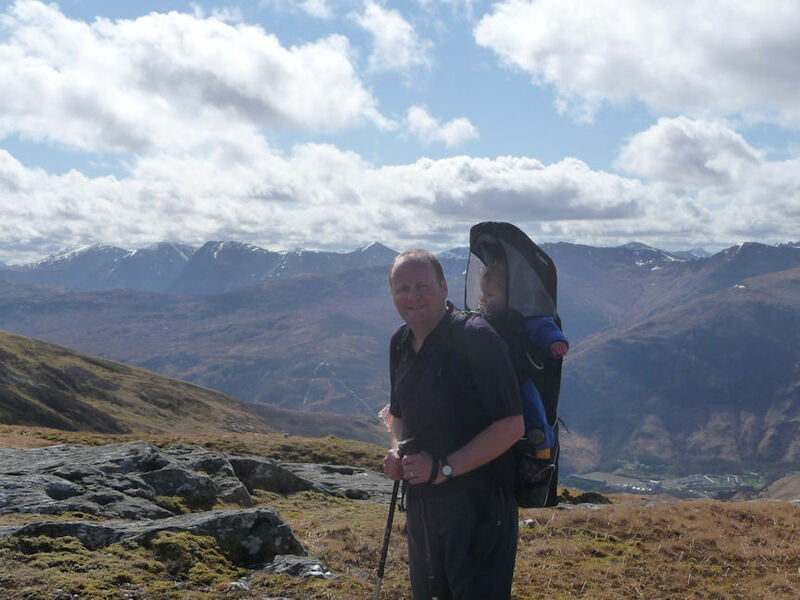 The former was the first munro for Sarah, Belinda, Will and both Annies, and Izzy is officially the Club’s youngest munro-bagger – her dad was very proud. 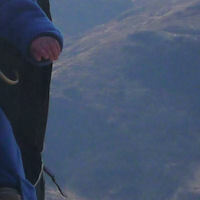 She celebrated by having a nice snooze during the descent. 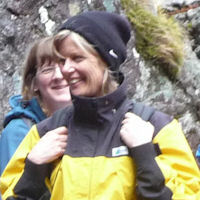 Some of the group dropped down early for a drink in Kinlochleven, and an encounter with the most miserable barmaid ever. The chips were nice though. 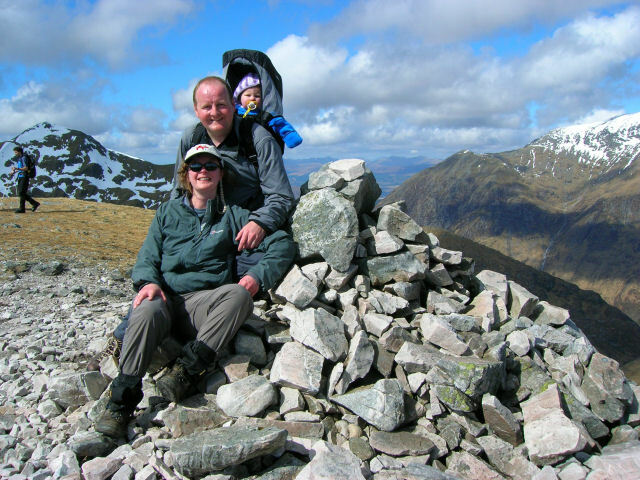 Meanwhile Bob, Rhoda, Bruce and Maggie did the Aonach Eagach ridge, one of the most famous hillwalking/scrambling challenges in Scotland which also includes two munros (Meall Dearg and Sgorr nam Fiannaidh). 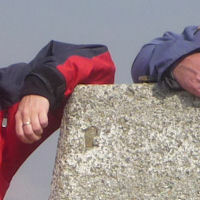 Club members, including Bruce and Bob, last did this in 2003. 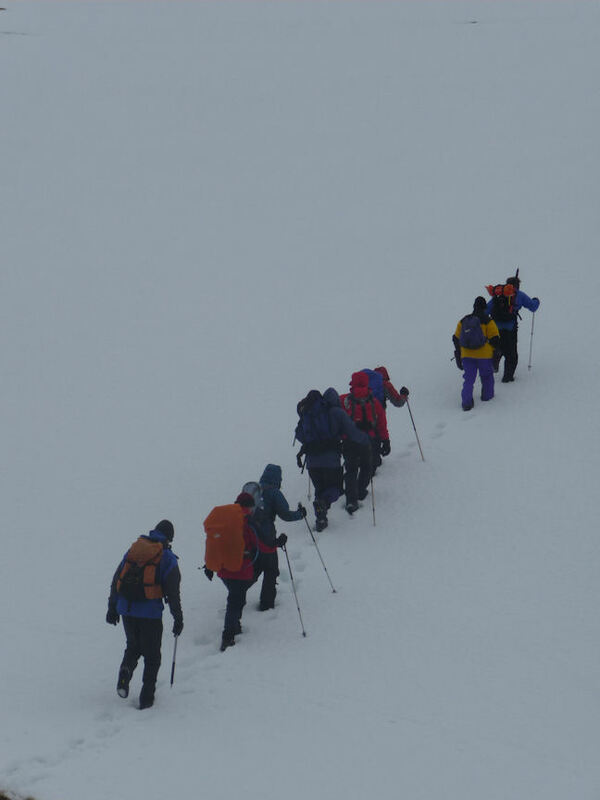 It was a long day, although the ridge was remarkably quiet in such good weather conditions: the group joined up with one other couple to complete it successfully. 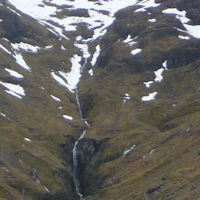 They chose to avoid the treacherous Clachaig Gully in favour of a longer route down, and Bruce and Maggie returned to the bunkhouse just as Pokey and his kitchen skivvies had got dinner ready. Both were justifiably proud of their achievement, but neither feels the need to do it again! Dinner was chicken in a cream/white wine sauce with pasta and veg, followed by apple crumble and the remains of the sticky toffee pudding, and all accompanied by plenty of beer and wine. 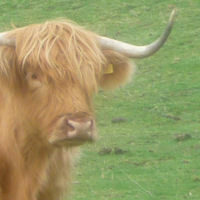 Alan was last to bed as usual, having had mixed success at persuading people to stay up beyond midnight. On Monday morning those who had driven up mostly left first thing, in an attempt to avoid the inevitable M6 traffic jam. 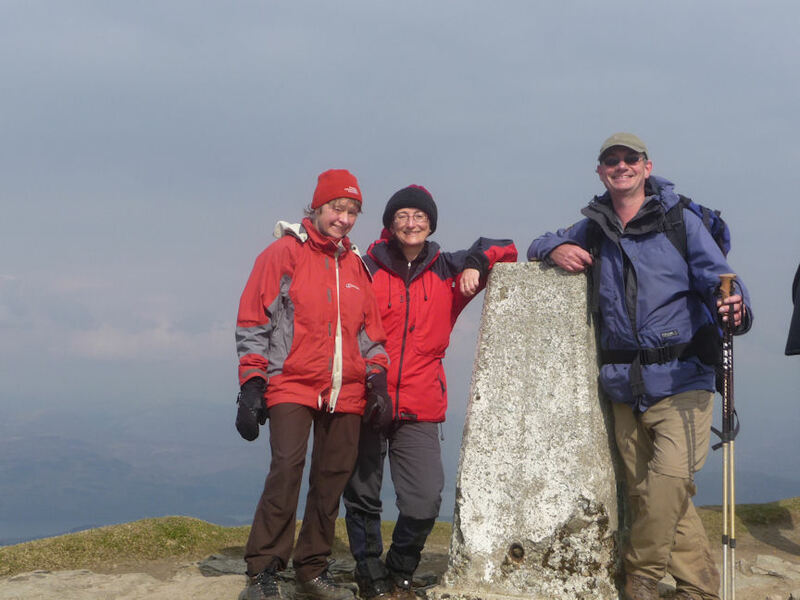 Those who had flown up had weren’t leaving until late, but Claire, Alan, Sarah and Maggie set off south before 10am with the intention of climbing Ben Lomond, the most southerly munro, on the way to Glasgow. 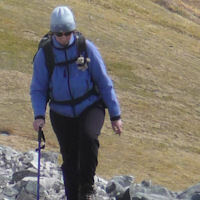 While passing through Glencoe, Maggie pointed out the location of the previous day’s exploits, although it mysteriously became the Anaconda Ridge when she talked about it. 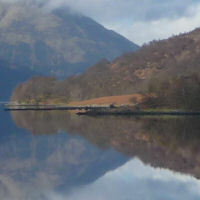 The group successfully bagged Ben Lomond in windy conditions, and were rewarded with wonderful views of Loch Lomond before heading down and driving to the airport. It was an excellent weekend – great bunkhouse, great walking, great weather, great food, and great value for money for Maggie (long story). 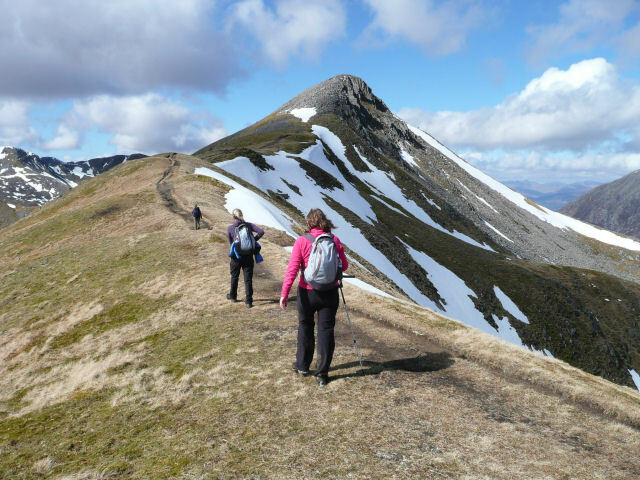 Nine munros were bagged in total (two of them twice, by different groups) and there is still so much more to do in the area. Easter 2010, anyone…?